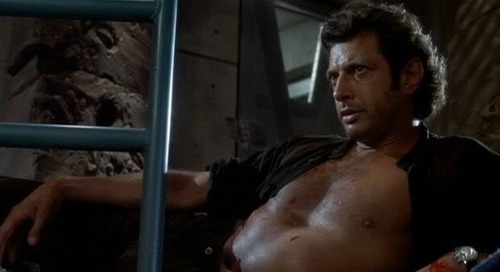 Man, isn’t Jurassic Park awesome? Right now it’s really hard to find the right thing to even talk about first. 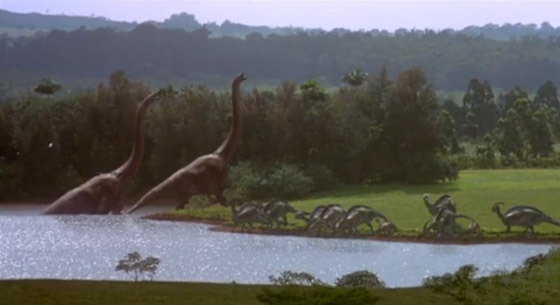 There’s so much to this film, a cultural giant that has loomed over our world like that first beautiful CG Brachiosaurus since it exploded on the big screen exactly 22 years ago today. I was born the year after, so I’ve never known a world without this movie, and I suspect the same goes for many of you. What should I say first, on this 22nd anniversary, to honor a movie that not only excited the world, but strongly affected my own life with all the times I saw it as a kid? Well, I suppose you should first know that for a long time I was obsessed with dinosaurs. I was that one kid in your elementary classes who knew everything about them: the different types, where and how they lived, and even how to properly pronounce/spell names like Micropachycephalosaurus. I read every book and, later, every website I could find that’d teach me even a tiny tidbit of trivia. More importantly for this post, I watched every movie I could get my puny hands on, from BBC’s Walking with Dinosaurs to Disney’s Dinosaur to all those Land Before Time sequels (Jesus Christ, they’re making number fourteen right now?!). So naturally, when my parents decided to ignore the PG-13 rule and showed me the film at a ridiculously young age (first grade? Kindergarten? Earlier?! ), I gushed over it. Sure, it was scary, but more than anything I was just so thrilled to see these people interacting with what really felt like real dinosaurs! That may go completely against the point of the film, but that didn’t matter. I adored it. Recently, I rewatched it with my brothers and some friends, and it’s impressive how well it holds up. 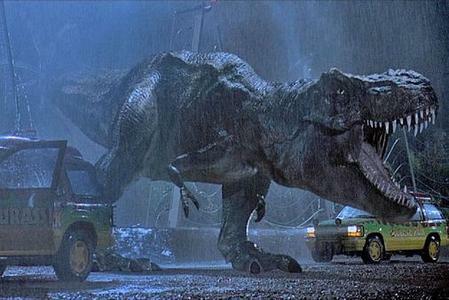 The scene with the Brachiosaurus is as captivating as ever, the build-up and reveal of the Tyrannosaurus rex remains one of the most thrilling in the history of monster movies, and those goddamn raptors still provide actually effective jump scares. Even in the visuals department, the 1993 CG doesn’t look prehistoric. Heck, it’s aged far better than most of the computer effects-heavy genre flicks that came in its wake. And man, just listen to that luscious, triumphant John Williams soundtrack! All these years and viewings later, we can still enjoy every moment, from the beginning when a black guy dies first to the end when they fly the wrong way off the island. Of course, the film is not perfect. People like to hate on Tim and Lex, and it’s not that hard to see why. They can be a load at times, especially when they almost get themselves killed through extraordinary stupidity when the T. rex first shows up and Ian Malcolm breaks a leg trying to save them. It doesn’t help that Lex is one of those ’90s teen edgelords (ooh, she’s a “hacker” and a vegetarian!) and Tim is an overbearing know-it-all. But I can’t help liking them, and not just because I’m charmed by the subplot where Dr. Alan Grant learns to deal with kids. Think of which audience their inclusion was intended for: probably kids! And when I first saw this movie, I was a kid, like them! Heck, I was Tim! I was the dinosaur geek who would be in awe at the presence of a famous paleontologist like Dr. Grant, and I would have asked him a million questions too, and I would have screamed and needed saving when the T. rex broke through the fence. Whether critics and older viewers find them annoying or not, Tim and Lex weren’t meant for them. They were meant for all the young fans watching, including me. 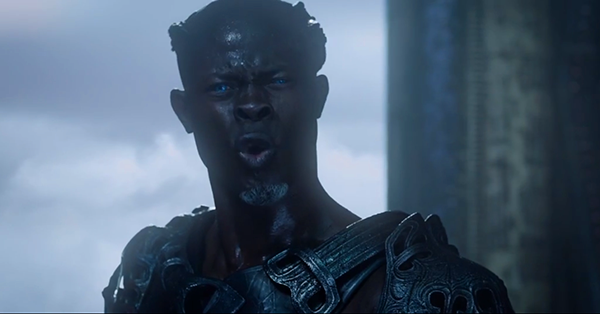 That said, this is still one of the movie’s funniest moments. I was born a year after the first film and I was too young to be aware of The Lost World: Jurassic Park‘s release, but I still vividly remember seeing a Miami billboard advertising Jurassic Park III for the first time. Six-year-old me stood up in the car and cheered. I loved the movie (I was six, okay? ), but all the other first-graders and I knew who the real winner of the T. rex and Spinosaurus fight would be. A couple of years later I achieved what I thought was impossible: I visited Jurassic Park! Islands of Adventure became the coolest place on Earth. I walked through the iconic gate, freaked out in the River Adventure, and got to pet a dinosaur in the Triceratops Encounter (a sadly discontinued attraction). The place still gives me chills, even if I’m apparently too big to do half the things there. This old Jurassic Park Institute website, tragically defunct now, used to be one of my favorite websites for dinosaur knowledge and news (another was Enchanted Learning, wonderful for kids). It had an extensive “Dinopedia,” Dino News, a Dino of the Day, and all kinds of neat info. I used to compile dinosaur facts, jokes, and trivia in my own, totally unlicensed Jurassic Park Institute newsletters, which I taped around the house each week. Just a nine-year-old’s cute arts-and-crafts stuff. I feel that every kid growing up has something like Linus’s security blanket from Peanuts or Calvin’s stuffed tiger Hobbes in, um, Calvin and Hobbes. For my two brothers and I, Stego filled that role and became the fourth brother. I took him everywhere, from school to the movies to vacations all over the Americas. I talked with him about any problems I had and he regaled me with tales of life in dinosaur times. I even taught him how to read using Dr. Seuss books! He may have been created as merchandise to encourage children to watch an age-inappropriate blockbuster sequel, but he became one of my best friends growing up. He may have three disembodied legs in a shelf somewhere around the house (they resist all superglue) and much of his fuzz is gone, but that sure isn’t because I didn’t love him. 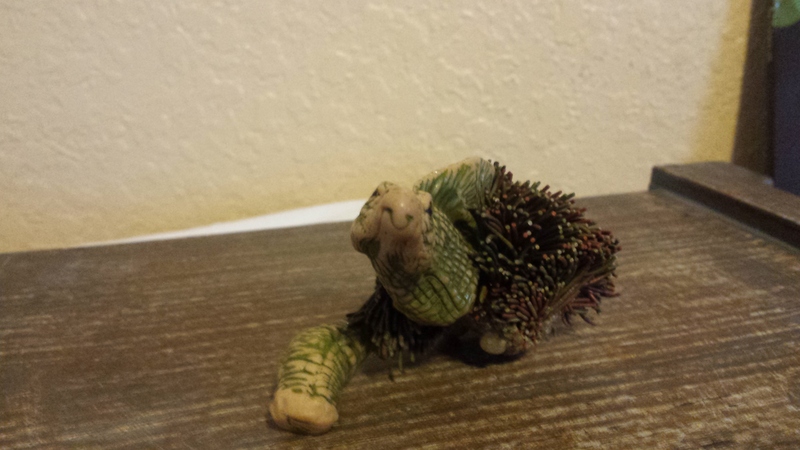 He may not accompany me on all my adventures or speak to me as he once did, but Stego will always hold a special place in my heart and my memories. 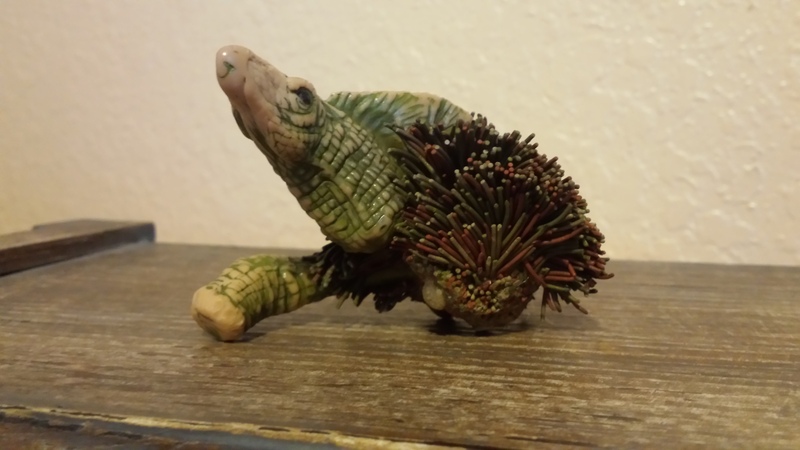 So Stego, this post is as much a tribute to you as it is to the series that brought you into being. Thanks for being an awesome friend for all these years. My brothers and I still love you, and you’re totally coming with us to Jurassic World. And even though much of the paint on his face is gone, he still always bears a warm, welcoming smile. On that note, you may have thought that there was more to my writing about Jurassic Park than its 22nd anniversary and a heap of nostalgia. Yes, we are on the eve of the release of Jurassic World, but I’m not writing this just because I’m excited for the movie. I’m writing this because this is the culmination of fourteen years of eager anticipation. 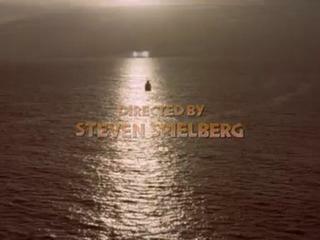 What many people don’t realize is that the fourth Jurassic Park has been in the works for fourteen years. Sure, it pales in comparison to the 65 million years it apparently took to make the first one, but this means more to me because I was there for all of it. I was there in 2002, a year after the third film’s release, when Spielberg officially announced it was happening and he’d serve as executive producer. I was there when Ain’t It Cool News leaked a draft of John Sayles’s script, which involved five genetically-enhanced Deinonychus, each named for a hero from Greek mythology, getting trained for rescue missions. I was there when they said that script was scrapped because … just reread that. I was there when Richard Attenborough died, preventing John Hammond from appearing in the film, and when the original books’ author Michael Crichton died, causing the filmmakers to consider calling it quits out of respect. I was there every time Sam Neill flip-flopped about playing Dr. Grant again. I was there every time a new screenwriter was announced and dismissed, every time someone involved said that the script was being rewritten, and every time the film fell further and further into development hell. Eleven years passed since that first announcement. In all that time I went through elementary school, survived middle school, and graduated from high school. I made and lost friends and girlfriends, hilariously stumbled through puberty, developed a passion for writing, studied abroad and lived in London, and basically had a life (or at least the childhood and teenhood portions of it). So it’s not like my life was swallowed by an obsession with this movie. However, in that decade-long span, I would check up on its progress (or lack thereof) every several months or so. It wasn’t always at the front of my mind, but it was never too far. My patience paid off in 2013, when they finally landed a director in Colin Trevorrow, who then co-rewrote with writing partner Derek Connolly a script by the team that wrote Rise of the Planet of the Apes. After all that time, some people were not convinced that a horribly-delayed fourth film for a series with only one popular film would be any good. Then they got some actor I’d never heard of two years before, yet another Chris in Hollywood, and now everyone’s hyped. And here we all are now. Guys. I’ve waited fourteen years for this. I’ve spent two-thirds of my life waiting for a film that, at many points, looked like it would never happen. Now it’s finally upon us, and I can almost guarantee that no one you know is more excited than I am. So get on your merchandised graphic tee, strike up the “Weird Al” Yankovic, and hold onto your butts! Fact: Baby triceratops turn RADDMAN into a regressed 8 year old. Don’t deny I was there in the theater with u.
I do deny. 7 year old would be more appropriate. They were adorable!